The coat rack Take One returns the principle of the G-Line from Phos back to the ground. 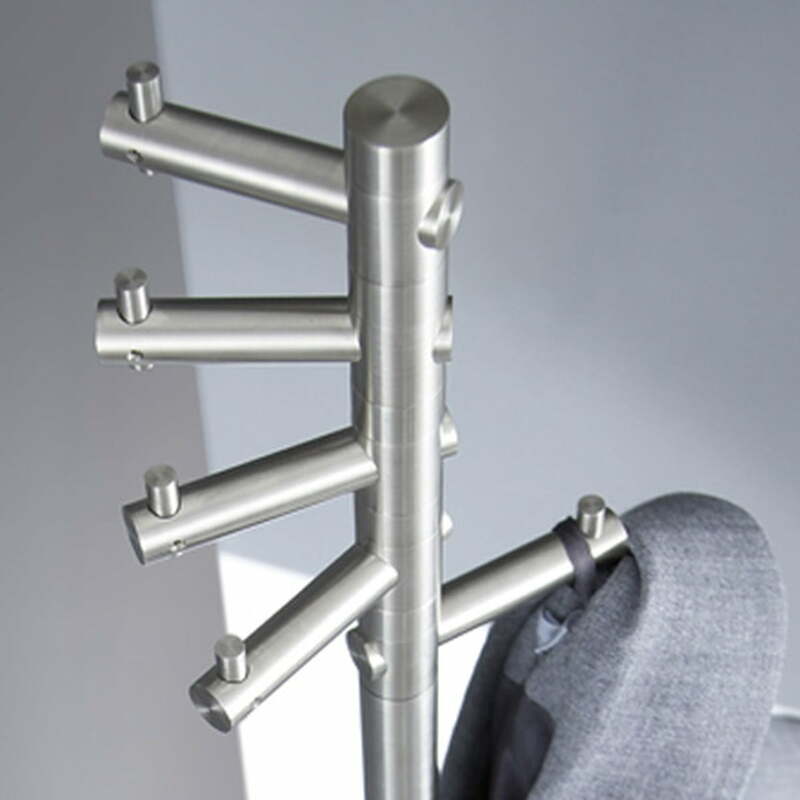 The hooks from this clothes stand are all placed on one axis and can be independently turned in different directions. Therefore several items can be hung next to each other and the hall stand won’t need more space. Take One stands on a steel foot that is equipped with a slip-resistant cell-rubber coaster. 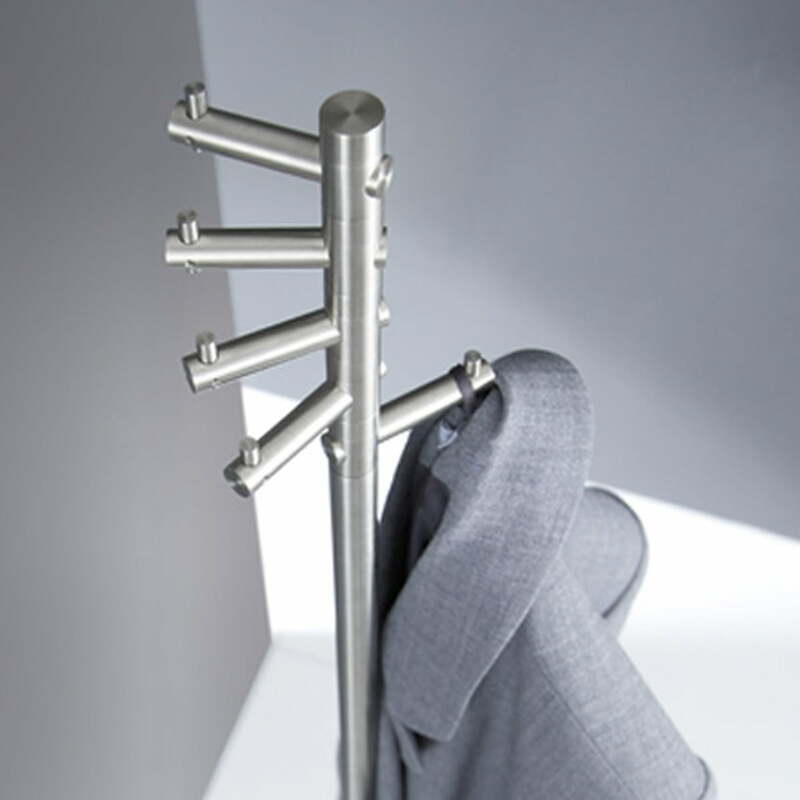 The coat rack can be placed everywhere and offers space for several jackets, coats, hats or scarves with its five hooks. 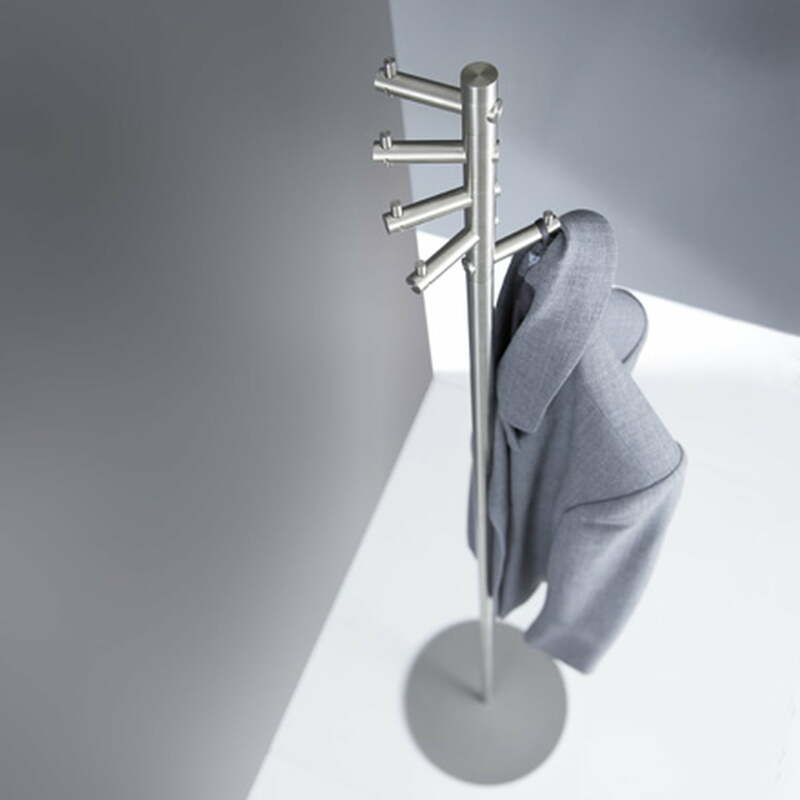 The single elements of the coat stand are hand-made. Take One is a high-quality product made of massive stainless steel that convinces with simple and elegant design and practical advantages as well. For an additional charge the Stand Wardrobe Take One is also available with a curved and longer Hooks. 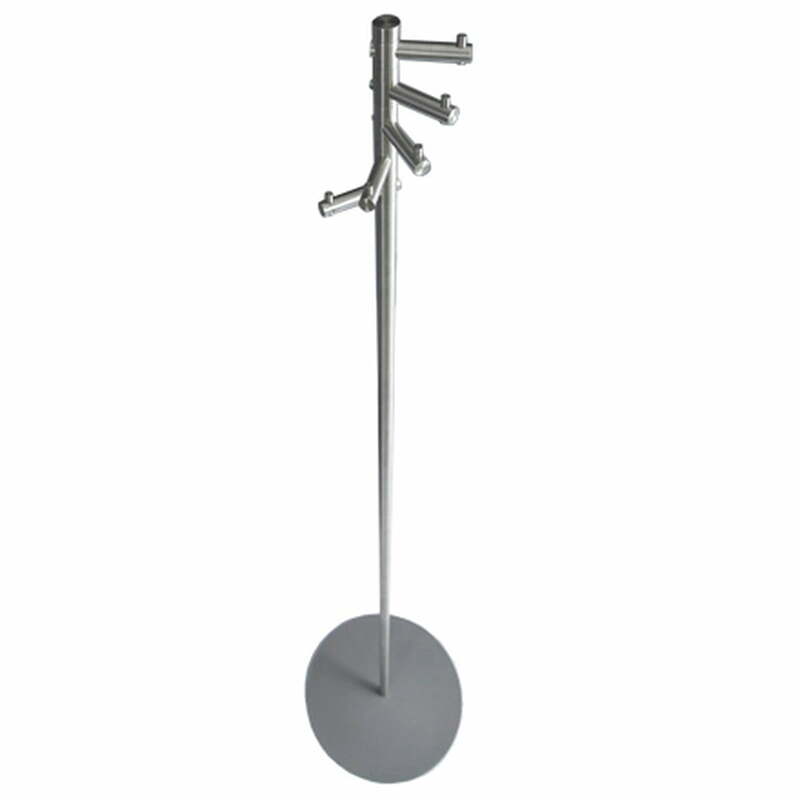 Furthermore a mountable umbrella stand with a water drain-ring for the ground panel can be ordered.